Stockton Drug Defense Lawyer Tai C. Bogan is experienced with various drug cases including possession of possession of powder cocaine, crack cocaine, methamphetamine, heroin, marijuana, prescription drugs like Vicodin, ecstasy, and many other drugs. The San Joaquin County District Attorney Office forcefully prosecutes drug possession and sales cases. If you are charged in Stockton or Lodi with drug charges your arraignment will be in the San Joaquin County Superior Court Stockton Division located at 222 E. Weber Avenue, Stockton, California, 95202. Felony arraignments are heard in Department 17 and felony arraignments are heard in either Department 26 or 35 depending on the nature of the case. If you are charged in Manteca or Tracy then your arraignment will be in the San Joaquin County Superior Court Manteca Division located at 315 E. Center Street, Manteca, CA 95336 . Your case will proceed in that courtroom where you were arraigned except for motions and trial. You will not have your trial in the arraignment courtroom, but you probably will have most other hearings in that courtroom. All trials for the San Joaquin County are heard in Stockton. The Stockton Police Department previously dedicated officers to the drug unit called the NARCO unit to focus on arresting people who use and sell drugs in Stockton, CA. Recent budget cuts have affected that group and the City of Stockton no longer has a permanent drug team working under the Stockton Police Department. However, police officers from various agencies in San Joaquin County are part of the San Joaquin County METRO narcotics task force. That task force is made up of officers from Stockton PD, Lodi PD, San Joaquin County Sheriff, Tracy PD, Manteca PD and Escalon PD. The officers in the task force focus on arresting those who possess, use and or sell drugs. Additionally officers from the same agencies who make up the METRO unit also make up a larger group of police officers called the Central Valley High Intensity Drug Traffic Area. (HIDTA). This unit has further reach than just San Joaquin County. The HIDTA goes up and down the valley arresting alleged drug dealers and manufacturers. Drug charges required an aggressive and skilled defense. 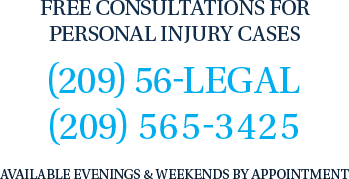 It is important to have a lawyer that can answer your questions about California drug laws, the criminal process, as well as how things work in Stockton and San Joaquin County. We invite those accused of a drug offense to schedule a confidential consultation with an experienced drug offense defense lawyer by calling us at 209-565-3425, emailing us, or going on ourContact Page and filling out an intake form.